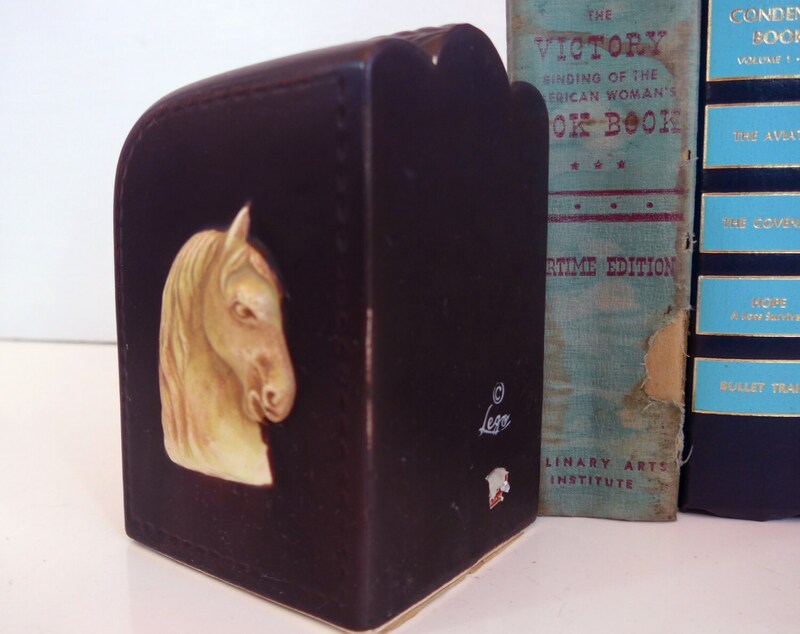 Wonderful vintage weighted hollow ceramic horse head single bookend. You can hear the sand inside when you move this as it is filled to give it weight. 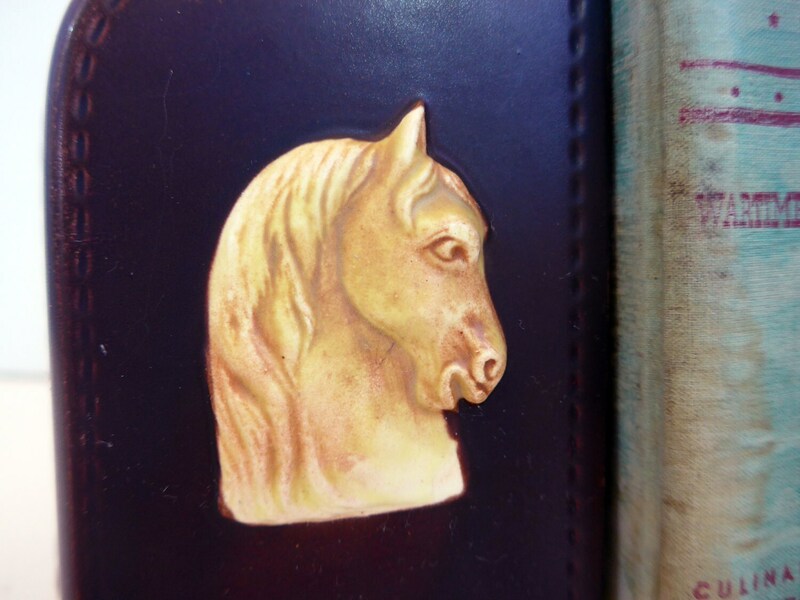 This chestnut brown bookend has an ivory colored stallion head on one side. It also has a three column shape with the center column having a woven look in the design. There is "stitching" on the outside of the end panels to make this look like it is leather. The inside is signed "Lego" with a copyright symbol. The remains of the original sticker are still there with what would appear to be the word Japan on the bottom. The original green felt is on the bottom - see photo. 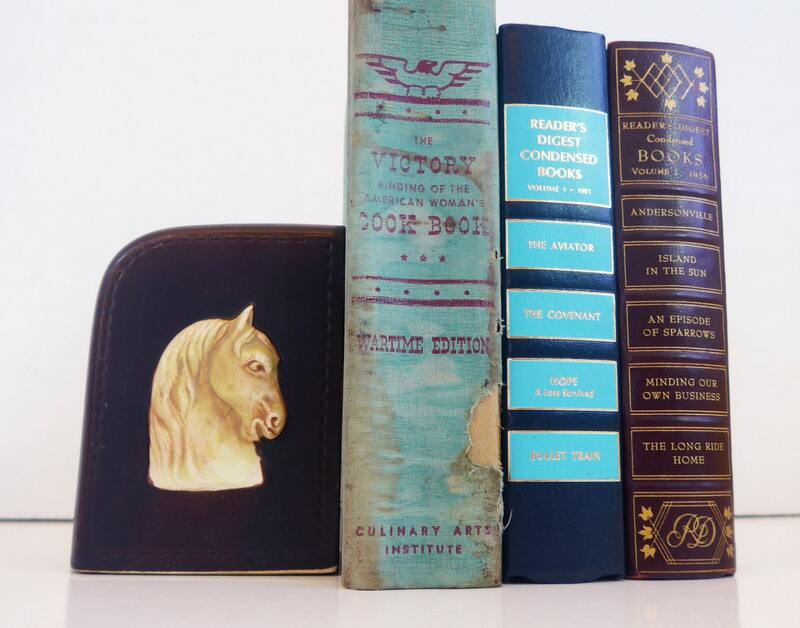 Lego made a number of bookends in the 1960s, many featured a horse such as this bookend. 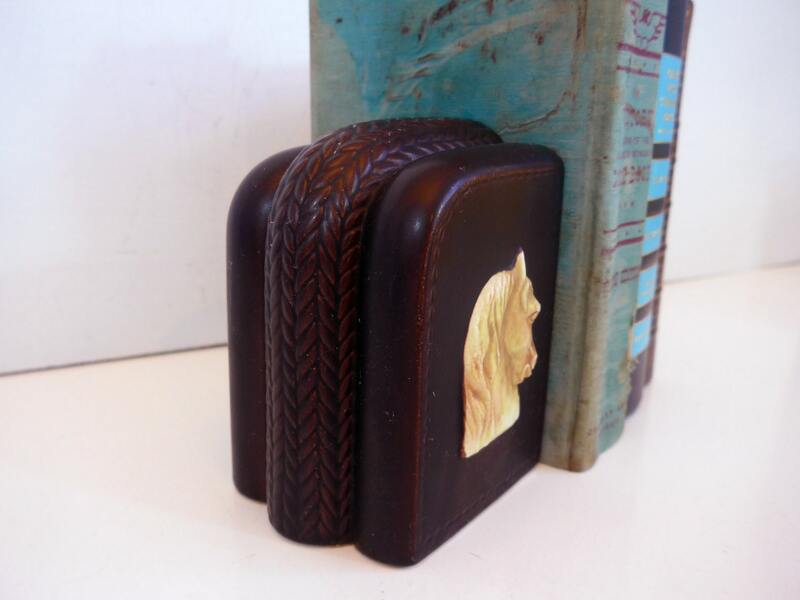 This bookend is in nice vintage condition with a bit of light chipping on the back side and at the bottom. 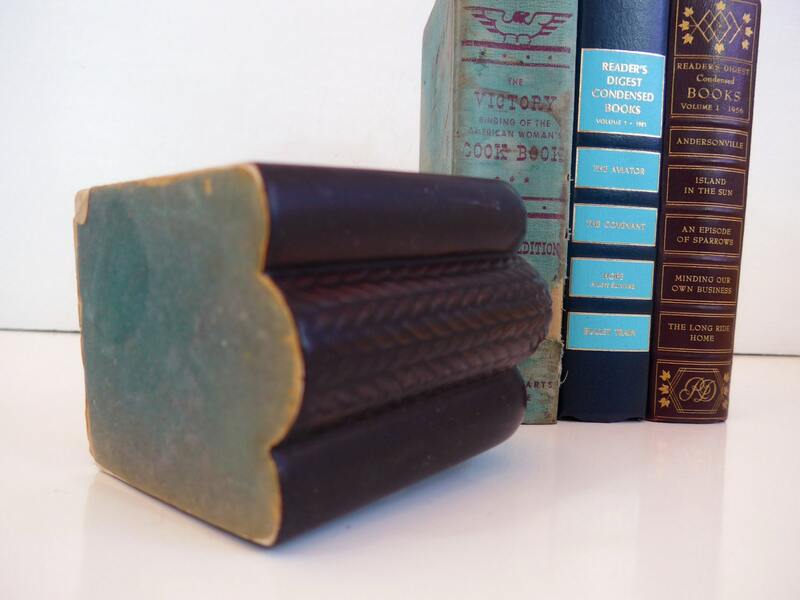 The bookend measures approx. 5 1/4" tall, about 3 1/4" wide and the base is 3 1/4" x 4" at widest point.